Cell is an apocalyptical, complicated novel. It has one of the best beginnings King has written, but that's probably the only exciting thing in the first half of the book, besides the fast pace. However, as the plot moves forward, the book gets better. However, things warmed up (got the pun? ), and I started caring for the other initial characters - Tom and Clay -, such as the ones that were added to the plot through the rest of the book. The phonies were more explored in the second half of the book, and they evolved to more complex, interesting and creepy beings. I loved that. The Raggedy Man and those dreams were also quite intriguing, and gave a soul to the book. Many people have problems with this kind of ending, but I actually liked it. It is seriously unnerving, but remarkable at the same time. I believe that one can forget some characters and what they did, but not the ending. Overall, it's a really good book, but not awesome. 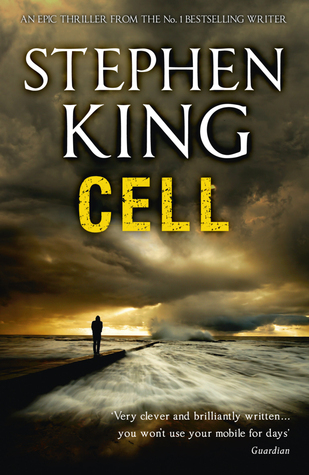 Sign into Goodreads to see if any of your friends have read Cell. 7.4% "I loved the beginning." 71.88% "This is finally getting better!! :D"